El Comandante Raul Gonzalez is leaving the coaching position in the Macedonian national handball team. The Handball Association announced it has come to a mutually agreeable decision and that Gonzalez will leave the position and focus on his other job – as coach of Paris Sent Germain. Our A team needs a coach who will focus day in and day out on all events related to the team, and given his other professional obligations, we came to a friendly and amicable decision to end our cooperation. We would like to thank El Comandante for his work with our team so far and wish him all the best in the future. We will miss his calm and tactical approach on the bench, the RSF Handball Association of Macedonia said. 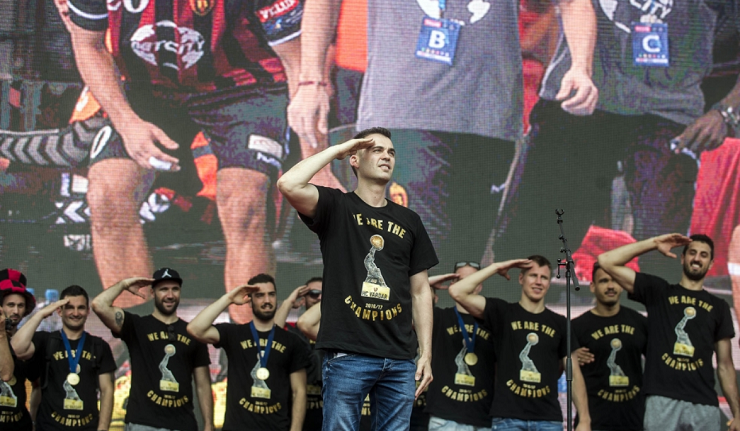 His last campaign with the Macedonian national team was the IHF World Men’s Handball Championship in Germany and Denmark, where Macedonia ranked 15th.